A few weeks ago, I emailed around a poll to my farm and Ag friends both near and far to ask them to give me their top 10 words that most annoyed them that are used in referencing agriculture and farming. I received a lot of interesting responses. There were many, many repeats which I have ranked in order from top to bottom. What it boils down to is that as a culture, we want everyone “in their place”. We want to define the people whose opinions differ from ours and confine them to a box. 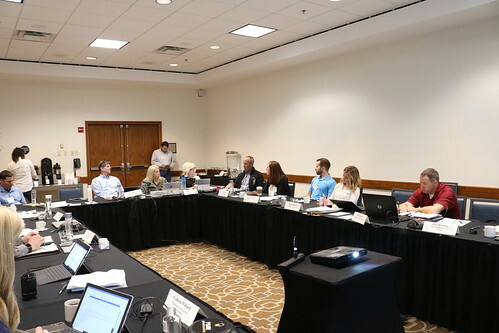 Social media is littered with examples of people and organizations lumping together and defining those who hold different beliefs in a negative way. It is a way of stereotyping, generalizing, misrepresenting, and for some, the ulterior motive of spreading misinformation. Thanks to my friends who contributed. 1. 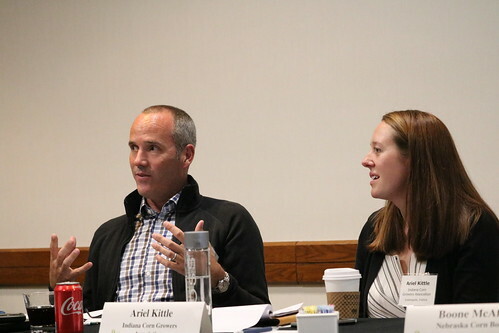 “BIG” – In the context of activist groups, “big” is a derogatory term linked to the perception that the majority of farms are corporate farms.Frankly, the term “big” used in this context sounds rather kindergarten-ish. It has little to do with size but more to the idea that family farms are small farms whereas big farms must be corporate. In fact, 96% of all farms in the US are family owned and operated. Farms vary widely in size as USDA defines a farm as any entity generating $1000 or more per year. (Which includes my daughter’s 4H projects I suppose). $1K sets the bar pretty low in terms of defining a farm. My daughter’s 4H livestock sheep & hog projects meet the $1000 USDA threshold to be defined as a “farm”. 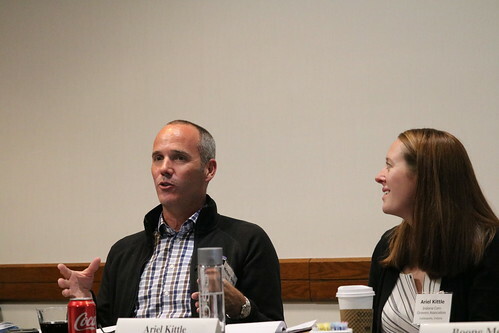 “Big” is also used negatively by some who insinuate that because “Big Ag’ is seen through corporations, that some how we farmers are not able to make independent decisions about our family farms. That some how “Big Ag” dictates what we buy and what we do on our farms. We aren’t beholden to any corporation. We like most consumers, look for quality and customer service. Those two elements dictate our purchasing decisions and who we do business with. A good example of double-speak however, is Chipotle who started a “big” campaign to redefine itself as “small”. Established in 1993, Chipotle has expanded to over 1500 restaurants and ranks 2nd only to Taco Bell in the Top 50 QSR (quick service restaurants) in the Mexican food segment. Chipotle’s 3rd quarter 2013 profits increased 18% to $827 Million. Let’s be clear, if there is “Big” in food and agriculture it is Chipotle, not the US farmers supplying them. 2. “Factory” – Activists now define climate-controlled barns as “factories”. If you are defining animal agriculture by agenda driven documentaries such as Food Inc, then you have chosen to limit your perspective and specifically elected not to look for balance in the whys and where-fores of food production in the current day. Personally, my preference is to talk to farmers, and not just the ones I perceive I am going to agree with. 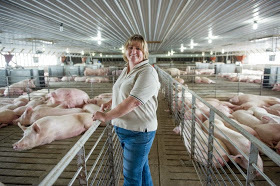 On a recent farm tour, someone remarked to my friend Jen, who is a hog farmer, how much extra space there was in each of her hog pens. If someone were to take a close up photo of the hogs to sensationalize animal spacing, the hogs would look packed together. Selective photography (and photoshop) is a method used by some to spread myths about farming. In reality, the term “pig pile” comes from their natural preference, in barns or outside, to pile together to sleep. 3. “Industrial” – in modern agriculture, industrial is a word used to demonize progress and technology. Efficiency is apparently acceptable in other sectors, but not in farming. Not all that long ago, we as consumers did not have microwaves, dishwashers, smart phones, remote controlled – (fill in the blank), home computers, the Internet, etc…. We as consumers have adopted significant amounts of modern technology in our daily lives. Farmers have done the same. So if farmers are industrial through use of technology and efficiency, then we as consumers must be “industrial” too, right? I mean if the shoe fits, wear it! So do we all want to go back and stop using our technology so that agriculture will no longer be “industrial”? 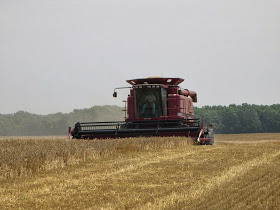 A “combine” is named such because in one piece of equipment it combines the tasks of reaping and threshing, 2 vocabulary words foreign to most people today. “Douse” – A word used to describe pesticide application. This is the type of rig used to apply pesticides and fertilizer. There is a fine mist (which in this pic happens to be fertilizer) guided by our GreenSeeker to apply only what the crop needs. Our family eats what we produce. Agricultural inputs are expensive. Why would we “douse” anything we grow with pesticides or fertilizer? Our approach is to look at the soil and plant health and apply what is “prescribed” from scouting and soil and tissue analysis. Much like your visit to the doctor, farmers diagnose and treat their crops according to their health and well being. “Pump“- The word “pump” made the list thanks in part to Panera Bread’s failed @EZChicken antibiotic campaign that illustrated in cartoon manner, chickens being injected with antibiotics and that farmers who use antibiotics are lazy. “Pump” really goes in line with the word “douse” as in every thing farmers do, we’re believed to do to the excess. Any good business person will tell you that makes no sense whatsoever, but I suspect most of those who throw these terms around have never run their own businesses. Its easy to criticize someones business when your paycheck is funded by “unnamed donors” to a non-profit. Earlier this year, the FDA had to issue a response to the Environmental Working Group’s interpretation of an antibiotic resistance report.. The fact of the matter is, judicious antibiotic use is an issue for everyone and finger pointing does little to further the conversation. We don’t like the finger pointed at ourselves but let’s face it, human users of the health care system and those who prescribe antibiotics are as much at fault if not more so than farmers. How can I say that? 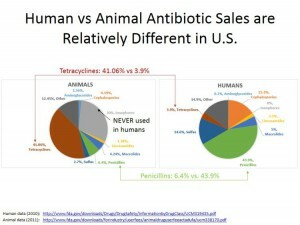 This article from the Wall Street Journaldiscusses human prescriptions of antibiotics. 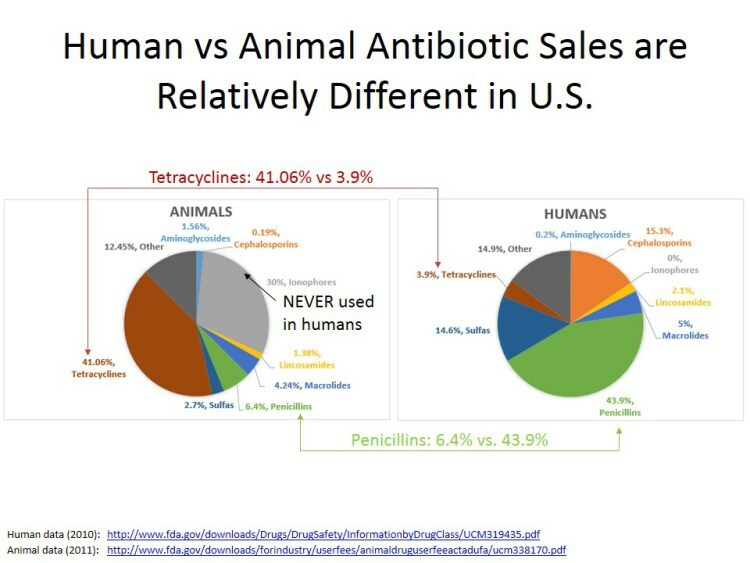 And this report from the CDCshows which diseases and pathogens are most associated with antibiotic resistance, the majority of which are not farm related. 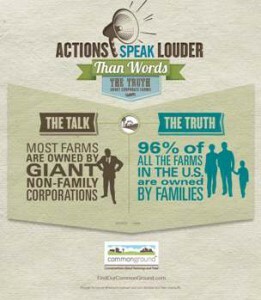 “Corporate“- as I said in #1, the majority of farms in the US are family owned and operated. 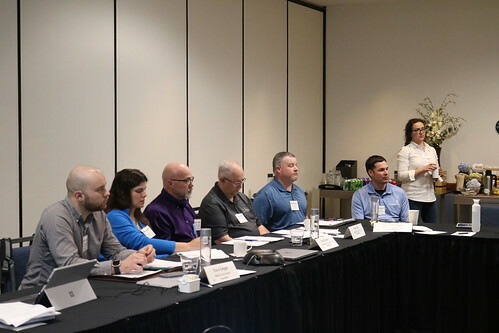 They may vary in size, and they may be “incorporated” for tax purposes (C or S Corp) and for liability protection (LLC for example). I’m not a fan of Mother Jones, but they recently wrote an articleconfirming this fact. In terms of farms owned by corporations dictating the actions of the farmer, its pretty much a myth. “GMO/Frankenfoods” – Wow, this one is hot in social media these days. One of the prevalent anti-GMO claims is that the foods made from genetic engineering (GE) technology haven’t been studied and are not safe. A study in the journal Critical Reviews of Biotechnologylooked at a decade of research on “GMO” foods and found no credible evidence that GMOs threaten health or safety of humans or the environment. A review of the study can be found here. GMO describes what humans have done for centuries – domesticate, modify and improve the traits of plants for a specific use, such as tomatoes, corn, potatoes and the majority of foods we consume on a daily basis. Activists use the term “GMO” and “Frankenfoods” to define foods produced through a specific technology and use it as a means for fear-based marketing. 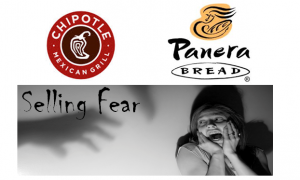 Here is a good blog about fear-based food marketing by DairyMoos. “SuperWeed”-Let me just say it like it is…. Weed resistance is not a genetic engineering issue, it is an agronomic issue. Weed resistance to herbicides did not begin with RoundUp or with GE crops. 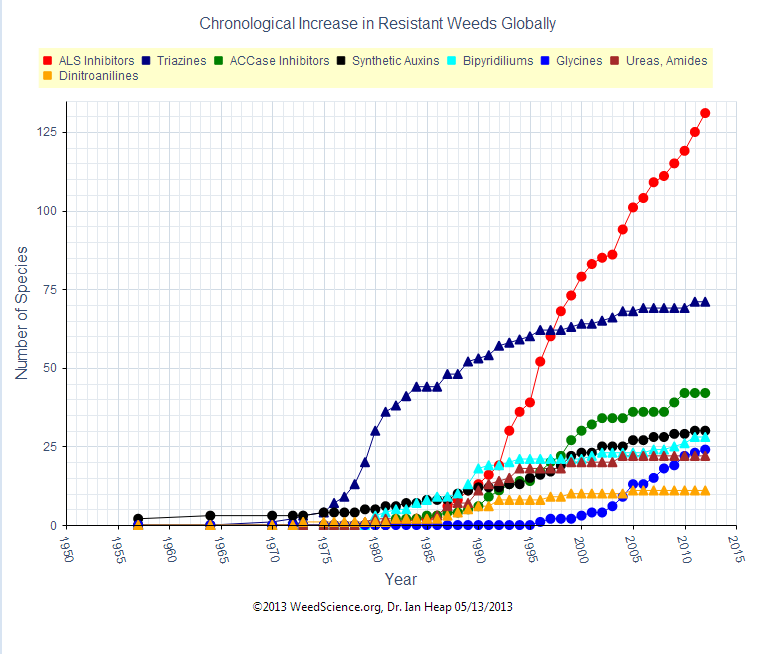 The chart below is from the International Survey of Herbicide Resistant Weeds. 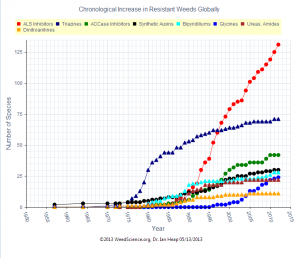 It shows that resistant weeds were occurring well before GE crops were ever on the market. Notably, glyphosate/RoundUp which receives the most media attention, is 6th in chronological increase after 5 other classes of herbicides. You should also know that glyphosate/RoundUp did not come about because of GE crops. RoundUp was developed in the early 1970’s and became commercially available in the US in 1976, 20 years before the commercialization herbicide tolerant crops. 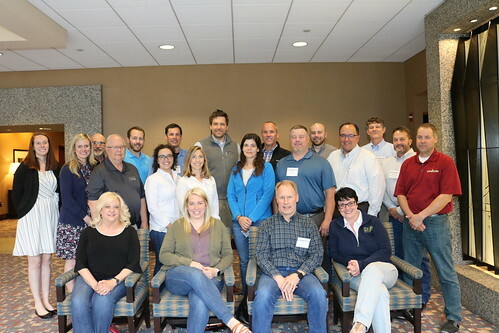 Its worth repeating – weed resistance is an agronomic issue, not a GE issue. “Shill” – while I consider “big” to be a rather kindergarten-ish word about Ag, “shill” is definitely a high school bully word. If you take the time to read the comments section of a polarized discussion on social media, often the first stone thrown is “you’re a shill for Monsanto”. Sometimes kindergarten is combined with high school and the commenter says “you’re a shill for Big Ag”. I wasn’t directly called a shill, but the insinuation was there in the New York Times article I blogged about in Stay Calm & Farm Onearlier this year. 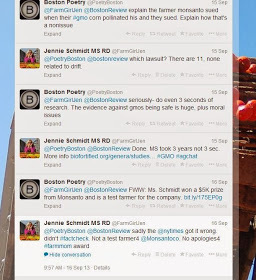 More recently, following an article I wrote for the Boston Review on Why Farmers Choose GMOs, I had the below twitter interaction with PoetryBoston who without knowing me, decided that I knew little about what I was talking about, following which they pointed out that I was one of Monsanto’s America’s Farm Moms of the Year for which I received prize money. 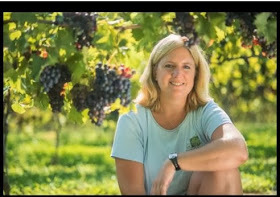 I’m proud to have been selected by the American Agri-Women’s Association as one of only 5 farm women in the US to be recognized. I make no apologies for the award nor am I embarrassed by it. 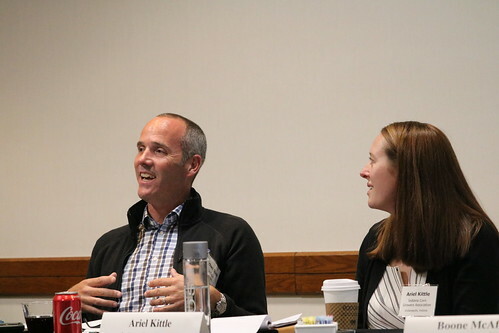 It also does not influence my message which are data and results from our farm’s experience as growers of conventional, organic and GE crops (yes simultaneously, and no… no longer organic. A topic for another day) Shill is intended to be derogatory and offensive. It shuts down any chance of meaningful conversation and civil discourse. It is possible to disagree without being disagreeable but that is rare if one spends any time reading the comments section. “Agrarian” – Picture “American Gothic. 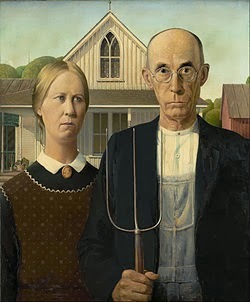 The word “agrarian” brings a romantic notion of the days of old, and therefore, not being appreciative of where modern agriculture has brought our society as a whole. It demeans the profession that we love, and that somehow, all of society would be better off if we went back to subsistence farming. Agrarian, after all, is a society where the majority of citizens participate in farming, not the current 1.5% of the US population. My hope is that the conversation can become more civil by illustrating each of these words from a farmer’s perspective. Farming is essentially a profession of many introverts and often an isolated job on a day to day basis. The story of agriculture and family farms has been told for us, often inaccurately. We as farmers don’t all stand up and speak our minds publically about how we feel about these terms that are frequently used in reference to what we do. People probably don’t understand , we don’t get to leave our jobs and go home at night. Our home is IS our farm and our job is a tapestry of our lives – of family, farm, and faith. Words that demean or misrepresent aren’t words targeted just a me or my husband, but at my kids, my in-laws, and my 96 year old grandmother (who by the way does not resemble the woman above). Its personal. You wouldn’t want your family talked about that way. We love our jobs, we love our farms, we love our family. We don’t own a pitch fork. We are today’s modern farm family.